March 8th, 2017 | Categories: Celebrity Real Estate. 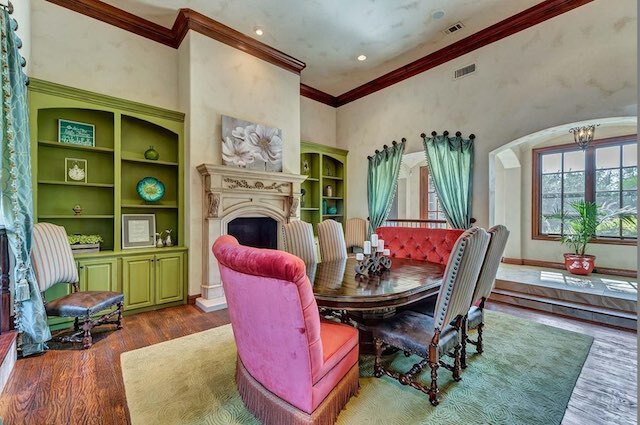 Tags: celebrity real estate, home staging dallas, home staging professional, home staging texas, luxury home staging, modern furniture, mood boards, and Selena Gomez. 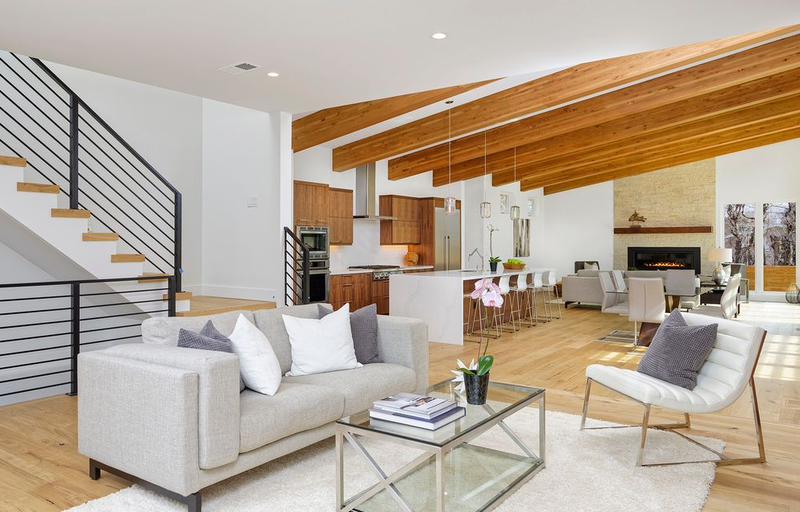 Singer and actress Selena Gomez’s house was recently listed for sale. 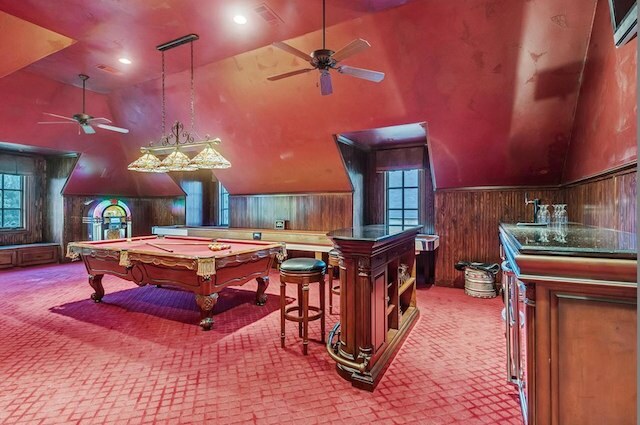 The sprawling, 1.5-acre property located in Fort Worth, Texas is listed at $3 million. Selena Gomez’s house is stately, complete with a pool, a putting green, an outdoor kitchen and cabana, notes Architectural Digest. 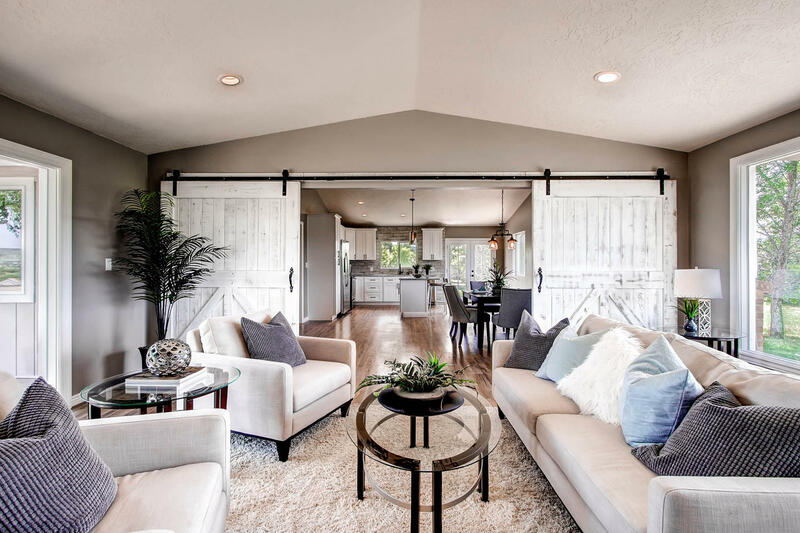 It has a bold color palette on the walls, and large-scale furniture and in the furniture that might not appeal to every potential home-buyer. 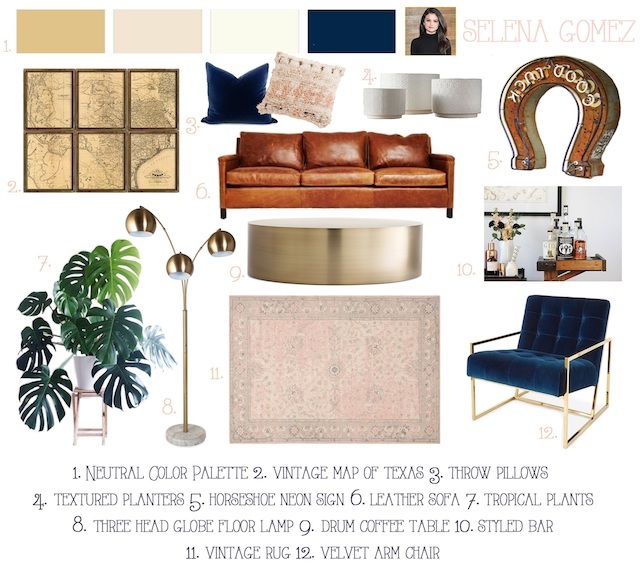 As a result, through an analysis of Gomez’s home and a spectacular mood-board, I’ll show you how I would utilize home staging to get Selena Gomez’s Texas home ready for sale. 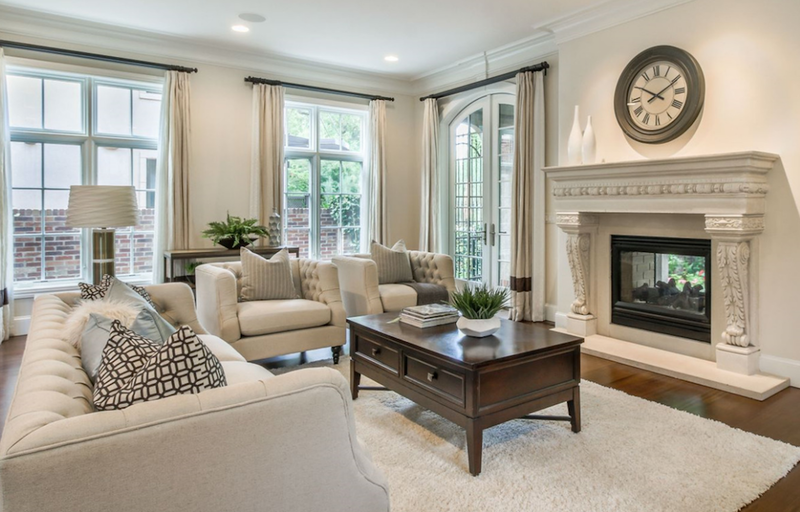 Home staging with a neutral color palette to attract all potential buyers. 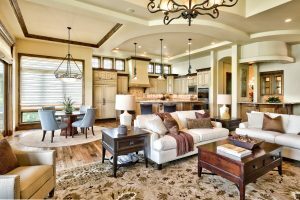 Playing off of the home’s current deep brown wood tones and Texas location to create a look that is modern with feminine touches. A home that feels modern yet cozy. The Texas mansion is reflective of its location, deep in the heart of Texas but in a sophisticated and modern way. A vintage map of Texas and a horseshoe neon help achieve that balance. The large estate, complete with a pool area and media room is meant for entertaining. That is something I wanted to embrace in the home staging so I’ve added photo for some much-needed bar inspiration, as well.